How Do I Send Drawings & Disappearing Messages On My iPhone? You are at:Home»iPhone»Messages»How Do I Send Drawings, Disappearing Messages, And Hearts On My iPhone? Digital Touch! The updated iPhone Messages app is chock-full of interesting new features. Perhaps the most intriguing of them all, however, is Digital Touch. This feature allows you to send quick drawings, hearts, and other creative disappearing visual messages to your friends and family without leaving the Messages app. In this article, I’m going to show you how to use Digital Touch to send these visual messages. What Is The Heart Button In The Messages App On My iPhone? The heart button opens Digital Touch, a creative new way to send disappearing messages in the Messages app on your iPhone, iPad, and iPod. You can also send quick sketches, a kiss, or even a dramatic fireball to your friends. How Do I Open The Digital Touch Menu? 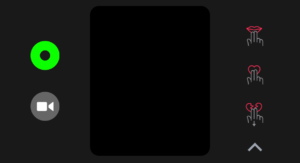 After you tap the heart button to open Digital Touch, a black screen with several buttons will appear at the bottom of the screen. This is the Digital Touch menu. How Do I Send A Drawing In Messages On My iPhone? Open the Messages app and tap the gray arrow next to the text box. Tap the Heart button to open Digital Touch. Use your finger to draw inside the black box. When you stop drawing, the message will send automatically. Try it out: Draw a smiley face on the trackpad using your finger and send it to a friend by pressing the blue arrow button that will appear to the right of the trackpad. Your friend will receive an animation of you drawing the smiley face. If the trackpad isn’t enough room for your artistic masterpiece, tap the white arrow at the bottom right-hand corner of the screen to launch full-screen mode. It’s also worth noting that, at the top of the full-screen window, you can change your brush’s color by tapping on one of the color swatches. How Do I Keep Disappearing Messages On My iPhone? Like Snapchat, Digital Touch messages disappear a few seconds after viewing unless you tell the app to keep it. To do this, tap the keep button that appears underneath the message — both the author and recipient can keep Digital Touch messages. How Do I Draw Over Photos And Videos In The Messages App On My iPhone? Tap the video camera button to the left of the Digital Touch trackpad. You will be brought to a full-screen view with a live camera view in the center of the screen. To record a video, tap the red record button at the bottom of the screen. If you’d rather take a photo, tap the white shutter button in the bottom left-hand corner of the screen. You can draw on the screen before or after recording a video or snapping a photo. All drawings made before the recording will be applied to the photo or video. What Kinds Of Messages Can I Send With Digital Touch? Tap: tap on the trackpad to send a fingerprint-sized circle. Fireball: press and hold for a second to send a cool, animated fireball. Kiss: tap with two fingers to send a kiss to that special someone. Heartbeat: tap and hold with two fingers to send a beating heart. Heartbreak: tap with two fingers, hold, and swipe down to send a broken heart. How Do I Send Hearts In The Messages App On My iPhone? Tap the gray arrow icon on the left side of the text box. Tap and hold with two fingers to send a heartbeat. Tap and hold with two fingers and then swipe down to send a broken heart. 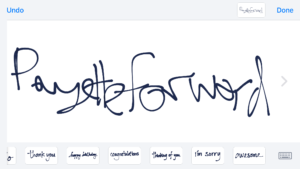 Digital Touch is nice for sending a quick, cute sketch to your significant other, but what if you want to add a signature or something more professional to your messages? That’s where iOS 10’s handwritten messages come in. Just open a conversation and rotate your iPhone to landscape mode (in other words, turn it on it’s side) to enter Handwritten Messages mode. 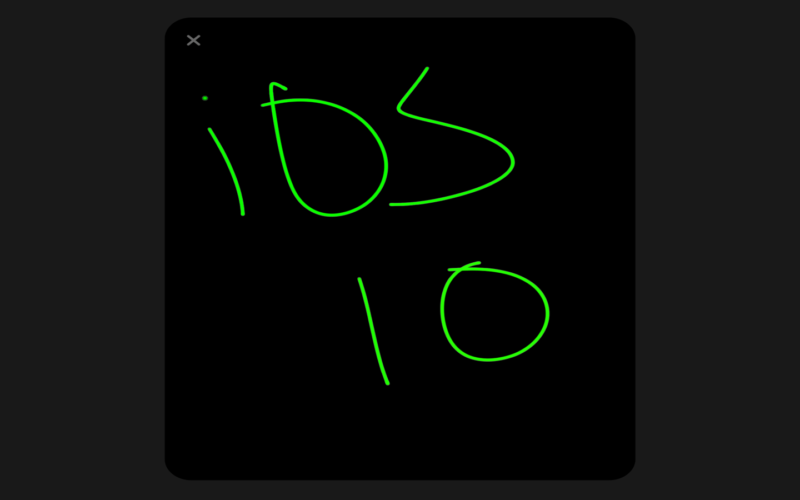 To make a custom note, start drawing in the center of the screen. At the bottom of the screen there’s a few premade messages as well — to use one, just tap on it and it will be added to the sketch area. When you’re ready to send your note, tap the Done button at the upper right-hand corner of the screen and it will be added to the Messages text field. There you have it: how to use Digital Touch on your iPhone. If you have any further questions, check out our full roundup of iOS 10 articles and the PayetteForward library. Let us know your thoughts about Digital Touch in the comments section below. Previous ArticleHow Do I Send Photos In Messages On My iPhone? Find The Missing Camera! Next Article Why Are There Balloons In The Messages App On My iPhone?